Announcing a new scholarship to assist graduate students whose research benefits Florida’s wetlands or waterfowl resources. Learn more about what UW-F does to help educate Kids and hunters about our sport, the environment and everything in between. 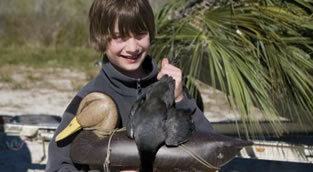 Education of the next generation of duck hunters is of utmost importance to the United Waterfowlers-FL. This why our members can be found teaching waterfowl in all parts of the State of Florida. Whether it is a summer camp at the Beau Turner Youth Conservation Center (BTYCC), Youth Trailblazer at Broward County Park, or a Youth Hunt at a Storm Treatment Area (STA), you are bound to find a UW-F member sharing his/her passion with the young hunters. UW-F does act as an informal political action committee, participating in political matters that the charters of DU and Delta may not allow. UW-F is the VOICE of Florida duck hunters in numerous meetings and hearings across Florida. We take a three tiered approach to improving duck hunting by focusing on conservation, access, and legacy. Take faith in knowing that supporting UW-F works directly to improve our marshes, our hunting, and our tradition. By becoming a member of United Waterfowlers Florida you allow us to continue making a difference for today’s and future generations of Waterfowlers. We fight for the rights of all waterfowlers through out the state of Florida. United Waterfowlers – Florida, Inc.is a waterfowling organization in the state of Florida whose mission is the improvement of duck hunting in our state. 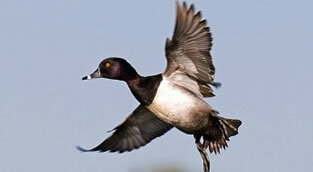 UW-F is a Florida organization concentrating on the improvement of duck hunting opportunities and success in Florida. What will UW-F do for me? UW-F is your VOICE at the federal, state and local government agencies. UW-F officers, directors, and members attend and monitor the meetings of the Atlantic Flyway Council, FWC, WMA, Water Management Districts and similar agencies. UW-F informs members of important subjects, puts together consensus opinions and asks members to “turn on the heat” with e-mails, letters, phone calls, etc… to the targeted bureaucrats or politicians. United Waterfowlers Florida fights for the rights of all waterfowlers through out the state of Florida. 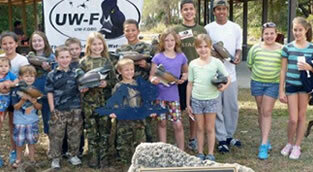 UW-F is the VOICE of Florida duck hunters in numerous meetings and hearings across Florida. We take a three tiered approach to improving duck hunting by focusing on conservation, access, and legacy. United Waterfowlers - Florida, Inc.